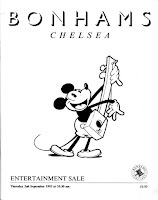 I came across this vintage Bonhams catalogue dating from 1993. 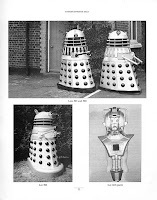 In my research into sales of Doctor Who costumes and memorabilia at historical Bonhams auctions, I don’t think I’ve seen quite so many Who-related items in a general sale before - 75 items in total, most of which are costume. 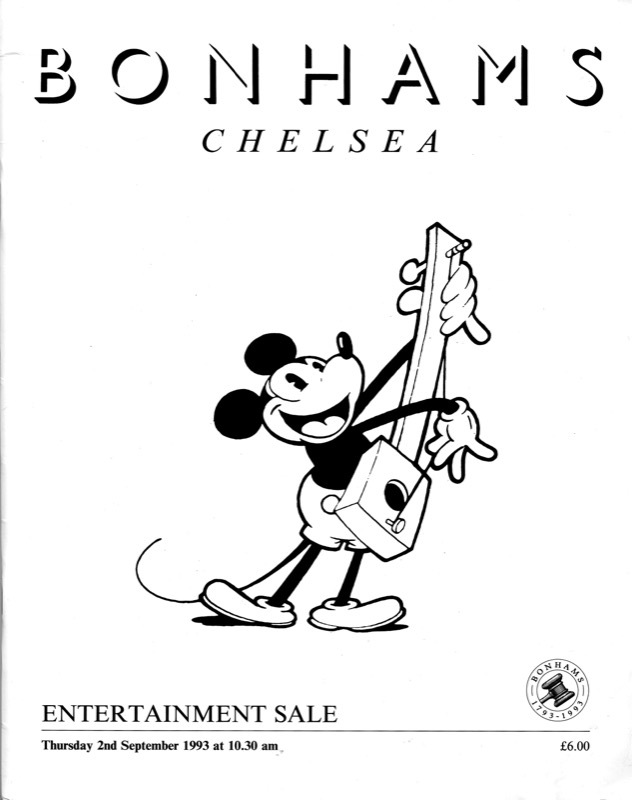 Catalogues in those days were sparsely written, often containing typing errors and misattributions. 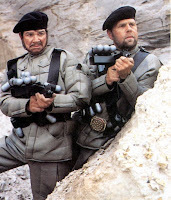 Hence you will see Sontarin (not Sontaran) and Androzanni (instead of Androzani). Other instances cite the wrong episode titles; wrong seasons; and occasional wrong aliens! I have therefore NOT attempted to correct any of these as it is not always possible to fathom the ambiguous nature of some of the listings. Where possible I have used the (few) photos from the catalogue to illustrate the items, but most I have sourced images from either episodes cited, or later Bonhams auctions where it would appear these items resurfaced for sale. 1981 (Peter Davison) A Black Trooper helmet and visor, also used as Gavrok Guard helmets in ‘Delta and the Bannerman’, 1987 (Sylvester McCoy). 1983 (Peter Davison)A script for Episode III. 1983 (Peter Davison) ‘Tegan Jovanka’s (Janet Fielding) black space suit including blue helmet, boots and backpack. 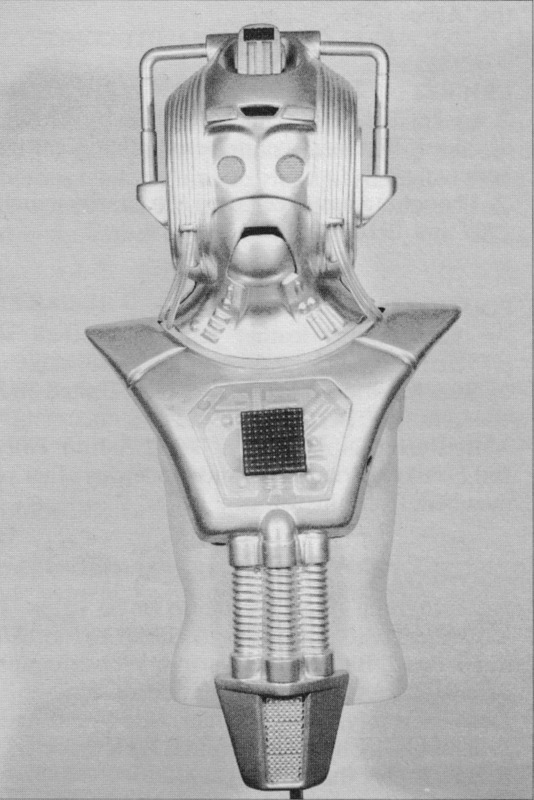 1983 (Peter Davison) A reproduction Cyberman in excellent condition, comprising silver boots, gloves, head, breastplate and voice changer. Cybermen were ruthless inhabitants of the planet Mondas, with invulnerable silver plastic bodies. 1983 A replica Cyberman gun from ‘The Five Doctors’ series. 1983 A replica Cyberman head modelled on one featured in ‘The Five Doctors’. 1984 (Peter Davison) A green and perspex foam Silvarian bracelet. 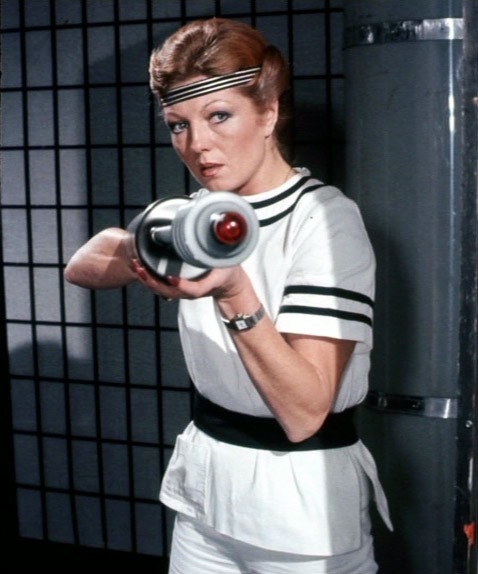 1984 (Peter Davison) ‘Styles’ (Rula Lenska) uniform, comprising guard bodysuit and armour. 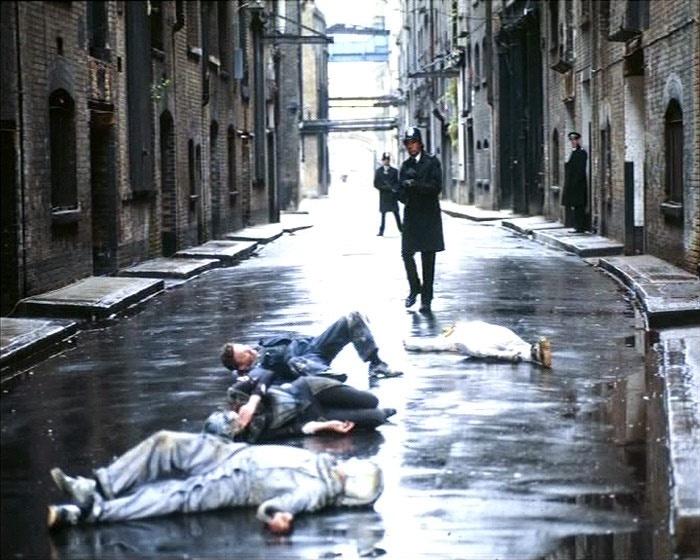 A mercenary on the space prison, where Davros, the Dalek leader, has been kept frozen for 90 years. 1984 (Peter Davison) A replica Dalek Guard helmet. A replica Dalek Guard gun. 1984 (Peter Davison) Costume of ‘Noena (Lesley Dunlop), comprising jacket and trousers. She was the daughter of Science Officer ‘Range’ (William Lucas). 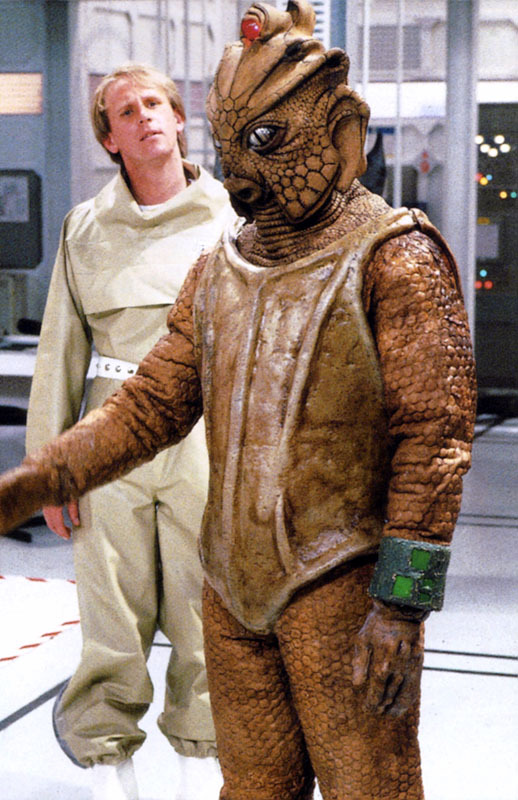 1984 (Peter Davison) A mercenary jacket and trousers (also used as a Shimeron trooper jacket), together with ‘Meglos’, a Tigellans outﬁt plus a dress and guard’s tunic seen in Dr.
1984 (Peter Davison) A damaged android head/ mask from the Season 20 story. 1984 (Peter Davison) General Chellack’s gas jacket. 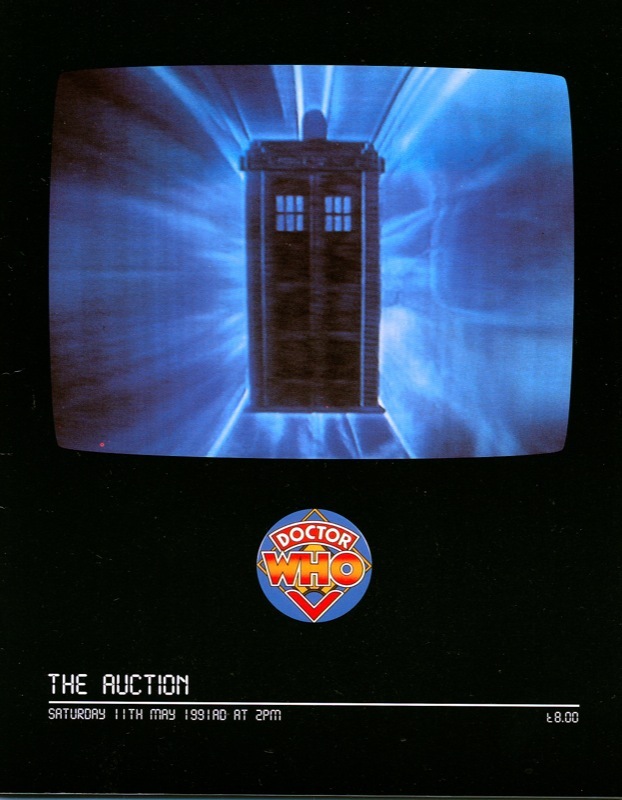 1984 (Peter Davison) A script for Part 4 of the last Peter Davison adventure. Complete replica Cyberman costume, consisting of silver jumpsuit, chestplate, silver moon boots, silver gloves and ﬁbreglass helmet with tubing attached. 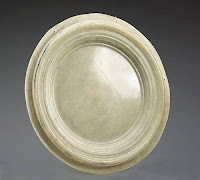 (Doctor unknown) A transparent ﬁbreglass disc. A blue London police box, complete with beacon on the top, built of wood, to the same dimensions and appearance of the B.B.C. 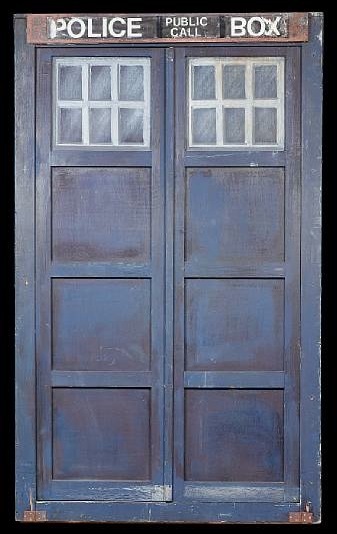 TARDIS (Time and Relative Dimensions In Space) featured in regular episodes of Dr. Who. By Stuart J. Hunphreyes Featuring a plethora of creatures and characters from thirty years of Doctor Who. Including Sarah Sutton, Jessica Martin, William Russell, Richard Briers, Nicola Bryant, Frazer Hines, Dinsdale Landen, Sophie Aldred, and others. Another similar collection of Dr. Who associated autographed photographs and postcards, including Jon Pertwee, Tom Baker, Colin Baker, Sylvester McCoy, Sophie Aldred, Bonnie Landford, Bernard Cribbins, Mark Strickson, Janet Fielding, Sarah Sutton, William Russell, Hugh Lloyd, Richard Franklin, and several others. 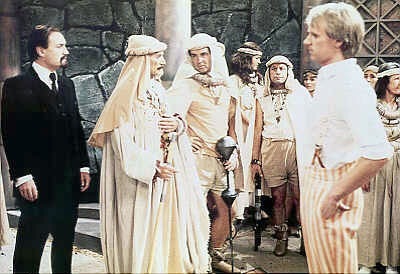 Another selection of ‘B.B.C. 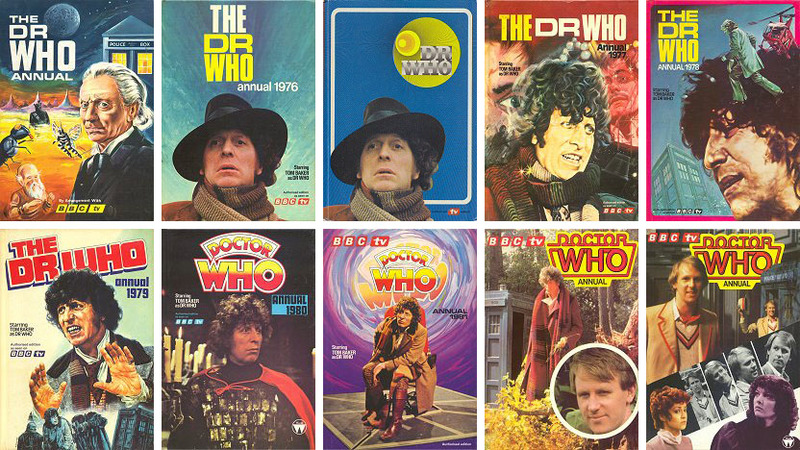 TV Dr. Who annuals, including those for 1965, 1976 (x2), 1977, 1978, 1979, 1980, 1981, 1982, 1983.